Tired of the pile of winter gear by your door? These can help. There's a lot about winter we can do without: excessively cold temps, frozen toes and, of course, too much snow (yes, there is such thing). Another facet of the season that we would love to avoid: the mountain of winter boots, mismatched gloves and sopping wet hats and scarves that inevitably pile up by the door. Thankfully, there's a way to keep your winter gear organized and your sanity intact throughout the season. Read on as our three organizing experts share their best tips for seasonal organizing and favorite products for weathering winter easily. "You can't go wrong with bins. To keep things contained and your sanity intact, everyone in your home should have their own bin," said Betsy Helmuth of Affordable Interior Design. "In my home, each kid gets a basket. And mom and dad get the drawers for hand-warmers, earmuffs and more." "Large woven baskets and storage ottomans are key to keeping organized in winter," says Amelia Meena of Appleshine organizing services. "Select a classic storage ottoman to house extra blankets and throw pillows — they're great for extra entertaining space, and I like to add a cute tray on top to showcase my favorite décor pieces or go-to baubles." Tori Toth of Stylish Stagers, Inc has a tip for keeping everyone's items in one place: "Purge all items you no longer use and pare down your winter coats and accessories. Then have coordinating accessories hang with each coat so you can just grab and go. For example, put the gloves in side pockets, drape the scarf around hanger and tuck your hat in jacket sleeve or a pocket." Similar available at World Market and Walmart. This tree-style drying rack is intended for glasses, but it actually works perfectly for mittens and gloves as well. 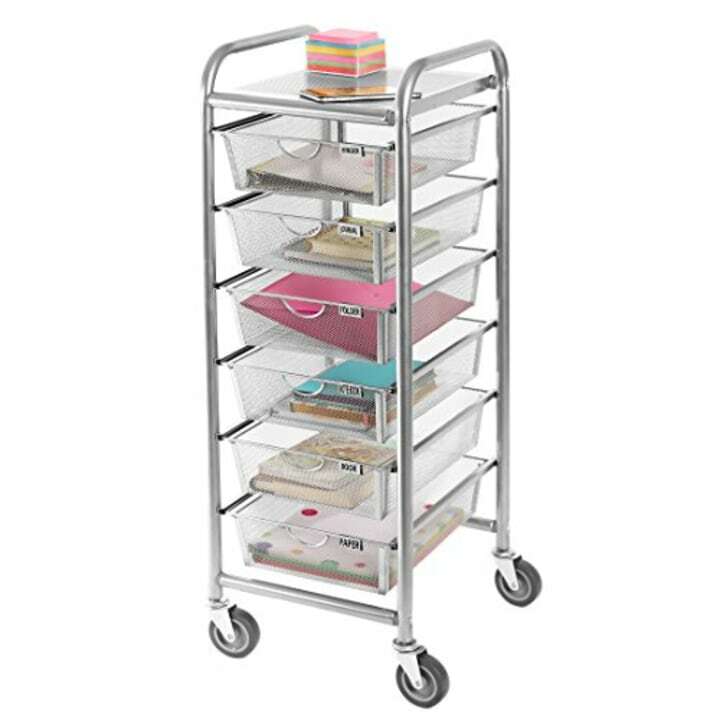 What's more, its compact footprint makes it ideal for keeping winter items organized in small spaces. Also available for $5 at Home Depot. Helmuth suggests that a small bit of hardware — sturdy hooks — will have a huge impact on your winter organizing. With the cold comes many more jackets and scarves. But no need to scar your walls with extra holes. 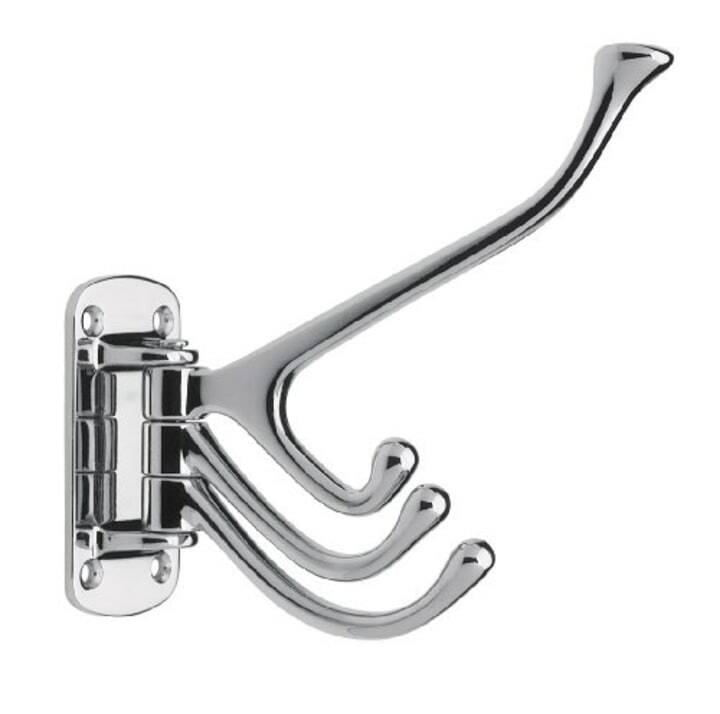 Instead, get four hooks in one with a swivel coat hook like this one. They're easy to install and make a big difference! Also available for $20 at Bed Bath & Beyond. 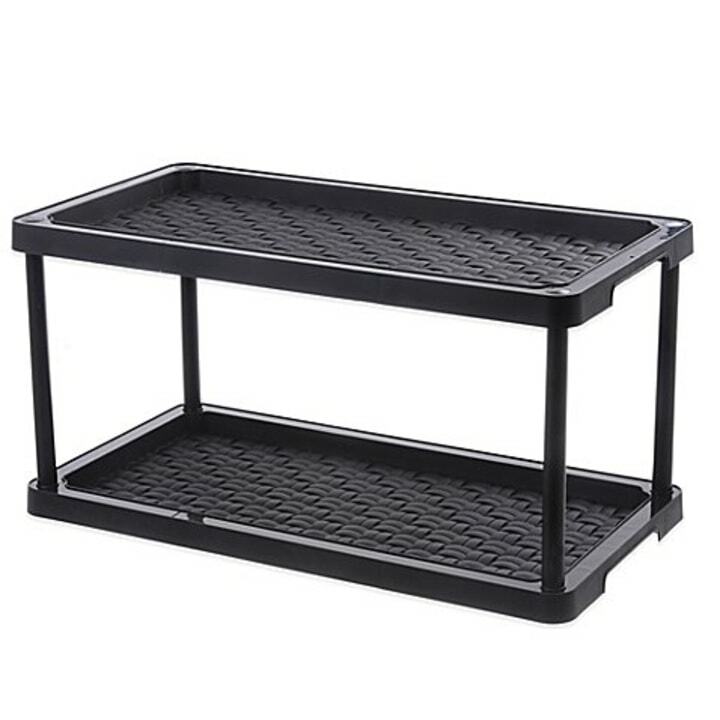 This practical two-tier boot and shoe organizer will be a welcome addition when you're trying to keep snow and mud-covered shoes off the floor. It's made of plastic so if it gets dirty, simply wipe it clean. Want more of a decor piece? Check out the Hampton Grey Hall Tree from Home Depot. 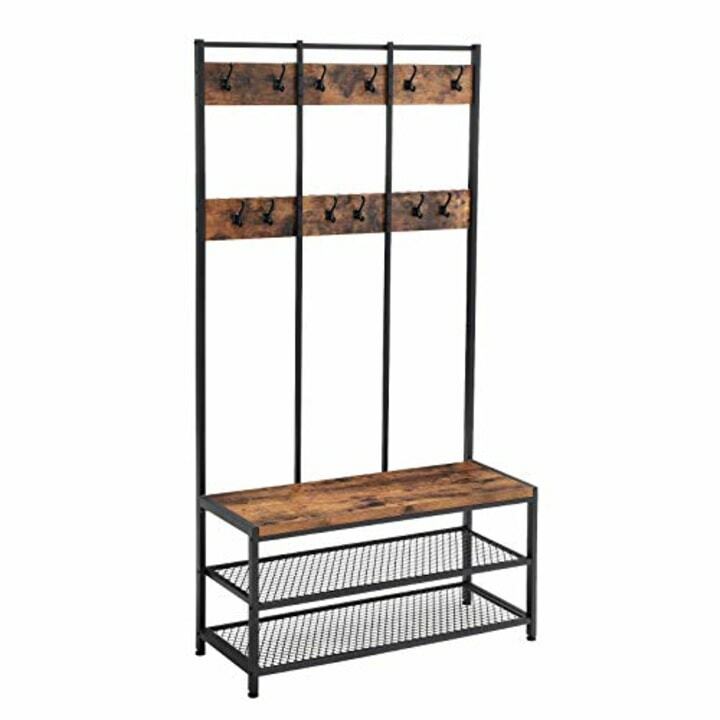 Sure, it's an investment, but this hall tree offers a one stop shop for hanging and storing coats and accessories and is convenient when kids want to grab gear and head out into the snow. 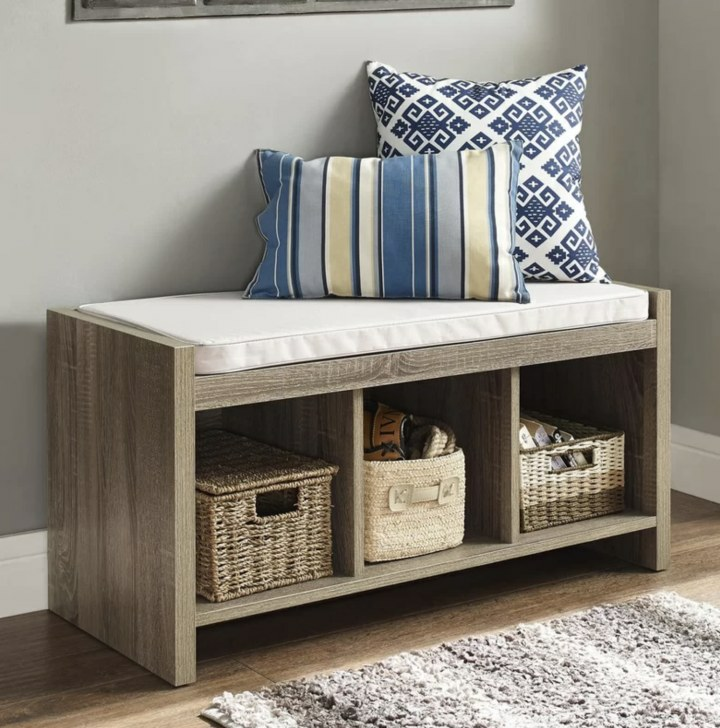 According to Meena, you can't beat an entry bench with baskets to keep winter accessories organized and in one place, like this one, which rolls on wheels. Meena suggests designating one basket per family member, or dividing the cubbies by category such as scarves, hats and boots. Bonus: It provides instant seating when you need to get your winter boots on or off. 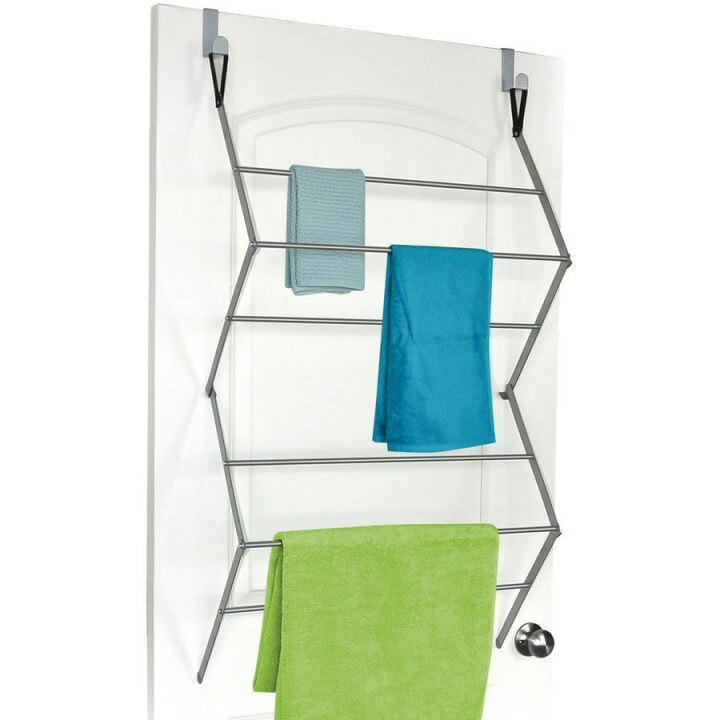 This handy metal frame provides 11.5-feet of drying space and is sturdy enough to hold damp scarves, hats and socks all at once. Similar available for $11 at Walmart. Need immediate space to hang things up? 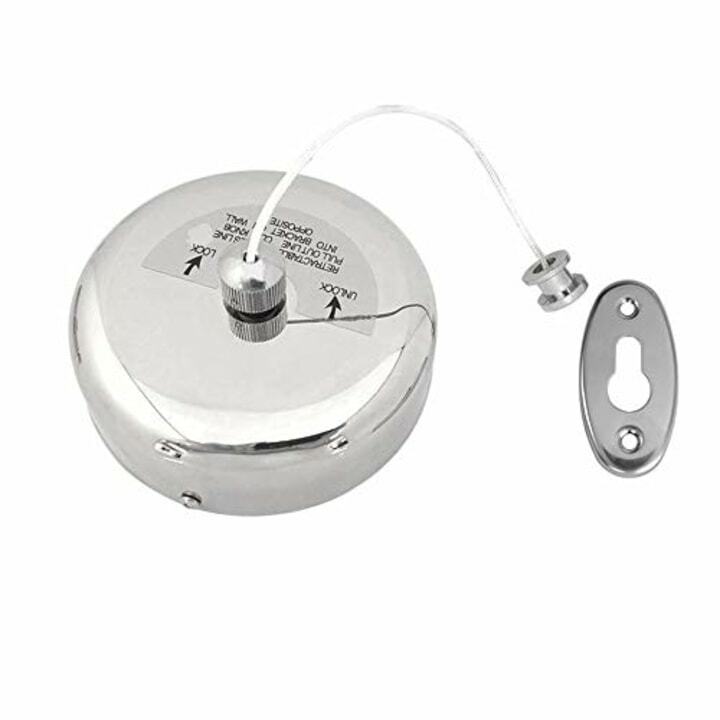 Toth is a fan of having a retractable clothesline inside your closet or behind your entry door wall. 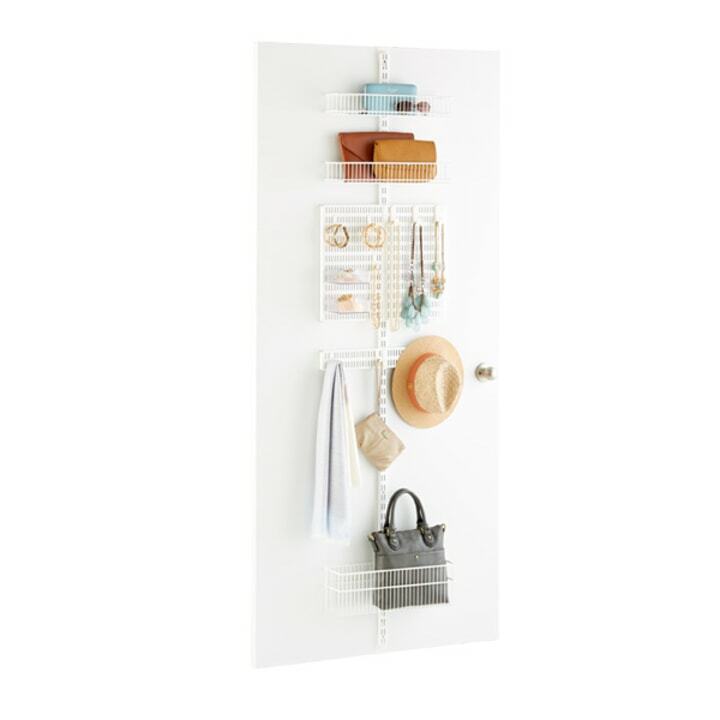 It's not only a space saver, but it's easy to install and store when not in use. Similar available at Bed Bath & Beyond. Minimalists rejoice! 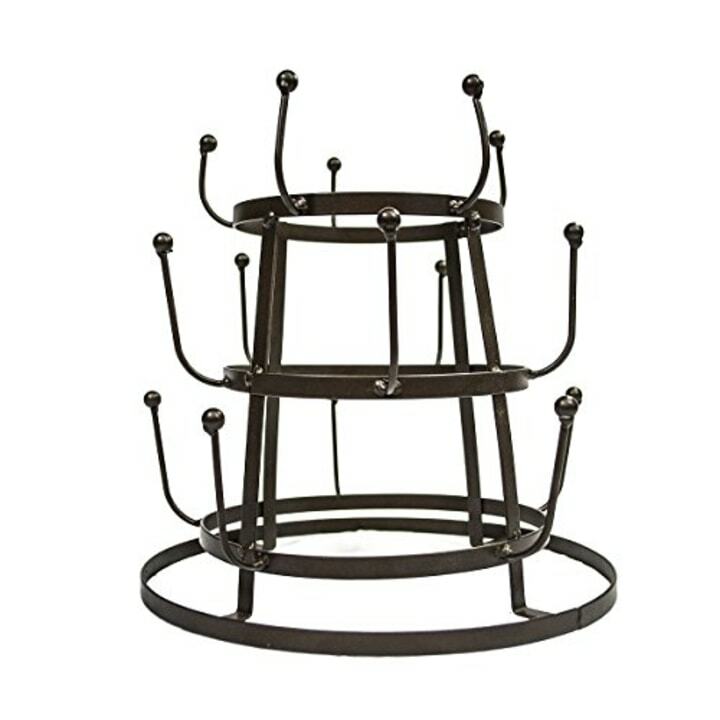 This sturdy but simple door rack has hooks and baskets to handle accessories like handbags, scarves and even hats. Also available at Home Depot and Overstock. The tight weave mesh construction allows for air flow throughout, which is great when it comes to air drying frozen winter mittens. It also comes with 6 label holders to sort by family member or item type.